Unfortunately, the term ‘diet’ has plenty of negative connotations. People associate dieting with statements such as “I’m starving” and “This is so difficult, it is impossible why even try?” The problem is in the past a lot of diet programs did in fact deprive its customers of the necessary nutrients and energy sources in the name of ‘calorie-cutting’. If you have attempted a diet in the past to no avail or, if you are someone considering taking important steps with your health, have you considered a low carb diet? It is true that more calories consumed versus calories burned equals a surplus and that surplus is unwanted in terms of weight loss. However, cutting calories is only half the battle. 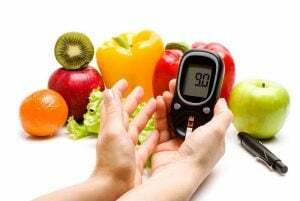 The harsh reality is all the low-calorie and low-fat diets in the world can only do so much and, in the cases of diabetes, high cholesterol and high blood pressure, strictly sticking to a low-calorie and/or low-fat diet may worsen the condition. You also need to reduce your intake of carbohydrates, or carbs for short. Carbohydrates are one of the stables found on the ‘Nutritional Facts’ label of any product of food you purchase from the store. 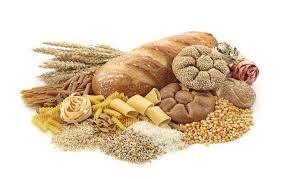 Carbohydrates are one of the main types of nutrients available and the most important source of energy for your body. Carbohydrates are defined as simple or complex depending on their chemical structure. 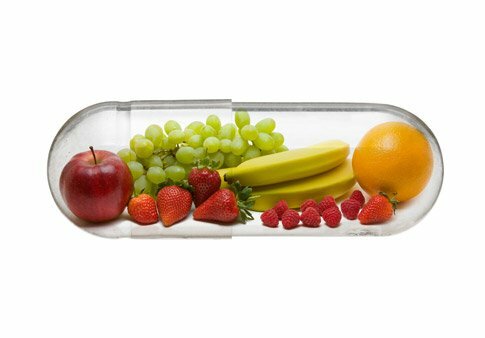 Simple carbohydrates include sugars found naturally in foods such as fruits, vegetables and dairy products. Meanwhile, complex carbohydrates are listed as those with whole grain (breads, cereals, etc. ), starchy vegetables and legumes. If you have heard of diet programs such as Dr. Atkins New Diet Revolution, Protein Power or Life Without Bread than you may be already familiar with the concept of a low carb diet. The primary objective of these and other low carb diet plans is to replace carbohydrates with fats and proteins. As previously mentioned, carbohydrates are a major source for energy. Unfortunately, these same carbs often clash with people diagnosed with high blood pressure and diabetes creating a conflict. Those same people need the energy but carbs only contribute to health issues and inhibit weight loss. The solution is to replace carbs with fat for that necessary energy, essentially replacing the old fashioned notion of a low-fat, high-carbohydrate “balanced diet”. The low carb diet is quite revolutionary in that it doesn’t actually deprive people of food. In fact, with the low carb diet you can consume as much food as you want so long as it’s part of the allowed foods. Imagine that… a diet program that doesn’t actually starve you. The low carb diet is vastly shifting the mentality that all fat is bad. In fact, a lot of groundbreaking research has proved the opposite: not all fat is converted into the dreaded body fat we all wish to avoid. Unfortunately the same cannot be said about carbohydrates because they are readily converted into body fat because of insulin. 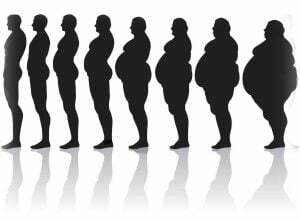 According to experts, most overweight people become that way due to a condition called ‘hyperinsulinemia’ or, elevated insulin levels in the blood. Carbohydrates contribute to increased insulin levels because once it enters the digest system it is transformed into glucose (blood sugar). Insulin is the hormone that enables blood sugar to be used by the cells to create the energy. Yet with high insulin levels it becomes counter-productive to weight loss because it triggers your brain to produce hunger signals. The tragic result? When you are hungry you are more prone to eat and consume more carbs which only recycles the dilemma. The modern day solution is to replace carbs with fat, ideally not sacrificing a loss of energy as well as aiding with weight loss efforts. Why? When you restrict the intake of carbs your insulin levels decrease and levels of glucagon increase. Glucagon is a hormone that causes body fat to be burned and cholesterol to be removed from deposits in the arteries. Like any diet plan the longer you adhere to it the more likely you are to see results. It is not only based on actual, real life examples but also scientifically proven by something called ‘ketonuria’. The condition of ketonuria occurs when the body goes into a state of ketosis, where fat is burned and creates ketone bodies in the bloodstream. Ketosis contributes to stabilized blood sugar levels and reduced insulin, resulting in studies to help people lose weight much quicker. The term notorious with dieting is ‘calorie counting’. The basic premise is that you can only lose weight if you burn more calories than you consume. There is truth to this ideology yet it has contributed to the notion that you can only lose by depriving yourself of food. The low car diet takes another approach. In fact, the low carb diet says eat until you are full so long as you stick to the foods that fall under the approved low carb diet list. It is groundbreaking because every other type of the diet in the world says the exact opposite. But, because you are reducing carbs keeping count of calories is not nearly as crucial. Why? Eating a high level of fat actually causes you to lose weight faster than if you ate nothing at all. It is not natural to deprive your body of food because it goes into a state of thinking it is being starved. When the body is in this state it kicks into a high efficiency state of metabolism in order to conserve energy. However with a high fat diet combined with low amounts of carbs the body maintains a normal level because it isn’t tricked into thinking it’s starved. The important ingredient is to remember not to consume fats but good fats. Good fats include those produced with olive oil, flax seed oil, canola oil, oils found in nuts and real butter. If the fats are monounsaturated or saturated you are consuming the appropriate kind. The type of fats you should avoid those that are polyunsaturated. Weight loss shouldn’t be linked to starvation. Thankfully the low carb diet offers an alternative and while it is not perfect, more and more research is connecting it to a safe and effective way to lose weight. The low carb diet is far from a gimmick and experts go as far to say it is the only treatment for hyperinsulinemia. The truth is no diet plan is 100 percent guaranteed. Every body type is different – some lose weight quickly while others take more time. But it is refreshing to discover a diet program that is specific to diabetes, high blood pressure and high cholesterol and helps those who have the most difficult time shedding pounds. The low carb diet is all about restoring your body chemistry. It helps regulate your blood pressure, insulin levels, blood chemistry and energy levels back to a normal range. From there it is entirely possible to reintroduce more complex carbohydrates back into your diet. All it takes is a well thought out diet plan and strict adherence. The general rule is: eat until you are satisfied, but don’t overindulge with the approved list of suitable foods. If you stick to that statement then weight loss is more than possible.